Thomas William Shaw is an author and actor from Helena, AL. He currently lives outside of Birmingham, AL with his fiancé, Melissa, and their puppy child dachshund, Delilah. A passion for writing was sparked in me as young as eleven-years-old. That was when I wrote my first short story about my elementary school staff turning into aliens. It was terrifying and the class loved it, excluding my teacher who sent me to the principle's office but recommended me for the Young Author's Conference in the same breath. Since then, I've had short stories published in local community college literary journals and worked in a bookstore surrounded by novels that told me I had to go full length. As far back as Alan Quinn can remember, his family has been on the move. Australia, Brazil, London, Germany; they've never been anywhere for very long. But, when his family settles in the small town of Ashton, Kansas, Alan feels like he can finally call a place home. That is until his father runs away, his mom gives up on the search, and Alan is left to investigate. 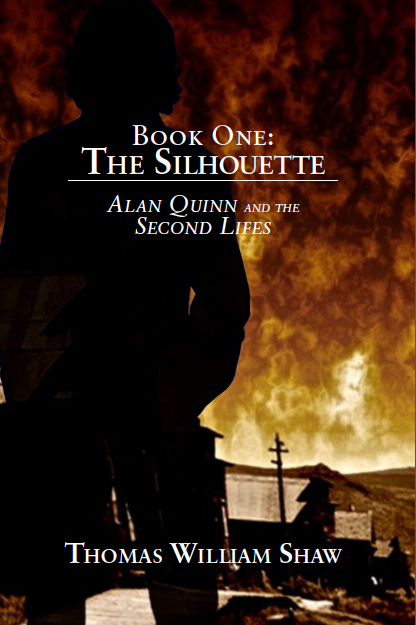 Together with new friends, the LeCarre's, a new dog, Peaches, and a new ally, Darius, who seems to know more than he leads on, Alan is brought closer to the answers he seeks, but a species his father only described in the stories he told has been awakened, leaving Alan to discover what is hiding in the shadows: The Silhouettes.